The cynical use and abuse of the events of the Holocaust seems to be the secret weapon of Israel.. Most non-Jews fear the accusation of anti-Semitism like the plague, so are unlikely to be vocal against the pariah state.. now Jews have also been targeted. Over the last few months a campaign of vile propaganda has been waged, not for the first time, against liberal Jewish intellectuals who have angered the dominant Jewish communities of the main Western countries. The charge? Anti-Semitism, no less. In different communities, an accusatory finger is pointed at those Jewish thinkers and artists who have dared to criticise Israel and its illogical, barbaric and counter- productive policies and actions. Anyone who strays from the simple line of full support for whatever Israel chooses to do, however infuriating, is tarred with the brush of anti-Semitism, used as a magical incantation against heretics outside the Zionist faith. 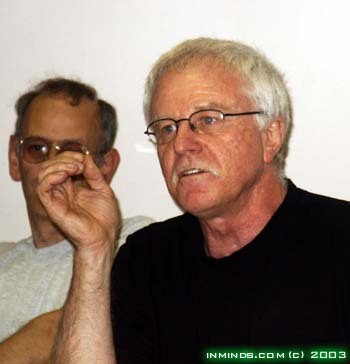 In Paris, the Philosopher Alain Finkielkraut found it acceptable to blame an Israeli filmmaker, Eyal Sivan, with more than anti-Semitism -- incitement to murder of Jews -- just for making a film, Route 181, with Palestinian Filmmaker Michel Khleifi. The film, a sophisticated expose of conditions for Palestinians within Israel and in the occupied territories, questions Israel's record of brutality and lawlessness. Nowhere in the film do they call, or condone calls, for any harm against Jews or Israelis. The film was widely shown in Israel itself, where the filmmaker works and teaches. Jews have realised that it is time to stand up and be counted, exactly because of the abuse of the Holocaust and its use in defending that that is indefensible. Many have joined the growing boycott of Israel.. That is the real source of worry for organised Zionist institutions; this growing snowball.. collecting force and momentum.. swaying public opinion against Israel and its uncritical protection by Western powers. The accusations against the filmmakers were made on a popular radio channel, with a call for listeners to "do what they see fit" to stop such suspect characters. The filmmakers took the case to court in Paris, as the philosopher in question, a notorious public figure, is well known for extreme racist expressions he used in a Hebrew interview, which he may have thought would not be translated. He was wrong, and the translation, made available on the web, has made him enemy number one of ethnic minorities in France. The court found that the libellous accusations were indeed without foundation, but still agreed that Finkielkraut has a right to voice them. The case is under appeal, but do not hold your breath -- the fear of the anger of the Jewish community in France is real, and the system will do much to avoid inciting its ire. Across the pond, the American Zionist lobby, not known for its subtlety or adherence to simple facts, has found new victims, having managed to isolate the Linguist Noam Chomsky so that he cannot find an outlet on US media to voice his criticism of Israel. The new targets are Playwright Tony Kushner and prominent Historian Tony Judt. The charge? The same -- they have dared to disagree with Israel and its inalienable right to bomb, destroy and detain just about anything and anyone, anywhere in the Middle East. Apparently, as reported in the Observer in January, organised Jewry plans to "confront" such Jews with accusations of anti- Semitism, and much more besides. While it may be permissible for intellectuals in some countries to criticise their governments, and it might even be enshrined within the democratic rights of self-expression and public speech, such a right apparently does not exist when discussing Israel. British Zionist mandarins have heeded the message. A campaign of similar vileness has been launched against academic researcher Tony Lerman, the newly appointed director of the Institute of Jewish Policy Research, with the now standard accusations honed and hammered out in the US used to attack the researcher who insists on the right to critical analysis. All the above are part of a wider phenomenon: the closing of ranks within Jewish communities against the increasingly prevalent voice of Jewish critics of Israeli atrocities, both in Palestine and beyond. It was not such a long time ago that Israel, in one of its many reoccupations of the Gaza Strip, not only killed many Palestinian civilians, destroyed their only source of electricity, stopped the passage of food into the Strip, but also sealed the border, not allowing medical supplies through, exactly at the time they were most needed. Just as one was trying to comprehend what can be done in the face of total inaction by the international community, there came the botched occupation of Lebanon, with one million refugees, tens of thousands of buildings flattened, and the whole infrastructure of the south of the country destroyed. As the international community became more and more angry, it fell to the usual suspects, Bush and Blair, to make sure that the UN did not act against this latest atrocity, and Israeli troops had a free hand to sow death and destruction without hindrance. We all know the end of this story -- Israel's stated aims were not achieved, either in Gaza or in Lebanon. What was achieved was destruction on an apocalyptic scale and a further severe imbalance in the region. In addition, it assisted extremist organisations in their recruitment by destabilising a region that teeters on the brink, and by proving, yet again, that Israel and its actions, however destructive and illegal, have total impunity, protected by the West. It is little wonder that many Jews are infuriated, if they were not already that way inclined. After all, such actions, if taken by any other country, would force the UN to send a military force to intervene, as it did in 1991 when Saddam Hussein occupied Kuwait. The cynical use and abuse of the events of the Holocaust seems to be the secret weapon of Israel and its Jewish (and non- Jewish) uncritical supporters. Most non- Jews fear the accusation of anti-Semitism like the plague, so are unlikely to be vocal against the pariah state that Israel has become, and now Jews have also been targeted. In many communities, Jews have realised that it is time to stand up and be counted, exactly because of the abuse of the Holocaust and its use in defending that that is indefensible. 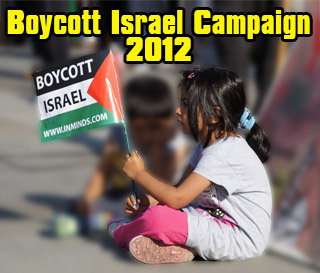 Many have joined the growing boycott of Israel -- the trade, academic and cultural boycotts -- as non-aggressive options for public and international action against Israel and its continued aggression against Palestine and other Arab countries. That is the real source of worry for organised Zionist institutions; this growing snowball is starting to move, at last, collecting force and momentum along the way and swaying public opinion in a number of countries against Israel and its uncritical protection by Western powers. The results of such protest actions can be foreseen. We witnessed the growth of the anti-apartheid movement from a small group of radicals and activists to worldwide action that swept away the South African regime and its injustices. This is what Israel and its allies in crime fear most -- a genuine popular movement that will force international involvement in finding a peaceful and just solution to the conflict after all Western-led attempts have failed miserably due to their total commitment to the Israeli cause and their implicit support for the continued occupation and its iniquities. While this popular boycott is gathering pace, and being attacked as anti-Semitic, another boycott has been very successfully applied for a whole year. Since January 2006, when democratically-run Palestinian elections produced large popular backing for Hamas, Israel and its Western allies -- the so-called "Quartet" -- have illegally boycotted Palestine and its government in every way possible. Millions of dollars of Palestinian tax monies are withheld by Israel, which refuses to recognise the Palestinian government or to deal with it. The EU and US have cut aid programmes which supplied a lifeline to Palestine in its hour of need, and tacit support is given to President Abbas -- the US Palestinian leader-of-choice -- in his attempt to get rid of Hamas, either by force or by unconstitutional ballot. There are, it seems, many ways of supporting "democracy". The Quartet boycott, which includes the UN, is illegal, like the preceding Afghanistan and Iraq fiascos, and as likely to produce the opposite results of those projected by its participants. It is also a boycott that is destructive, divisive, and which exposes the population of Palestine to shortages of food, medicine and funds to run their basic services, neither was it discussed nor voted upon by parliaments anywhere, or even publicly debated in a serious manner. Which boycott do you prefer? Which is more likely to cause harm, and which is the one that may contribute to a future just solution and peaceful coexistence? Remembering South Africa is useful and spurious accusations of anti-Semitism should not prohibit rational and much-needed debate. The writer is an Israeli academic living and working in London. He is the co- author of Introducing the Holocaust , published by Icon Books.